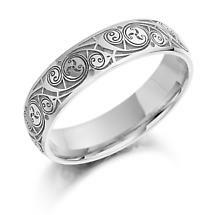 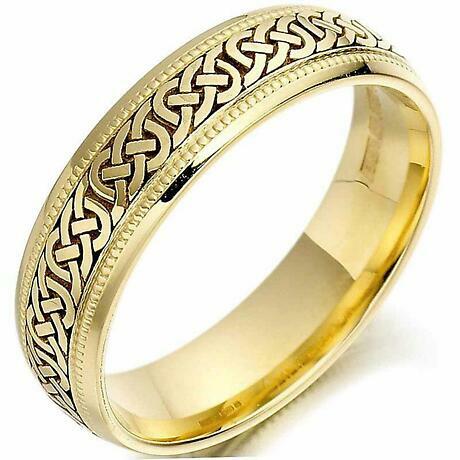 Celtic Wedding Ring – This ladies irish gold wedding band features a detailed pattern of Celtic swirls and triskels. 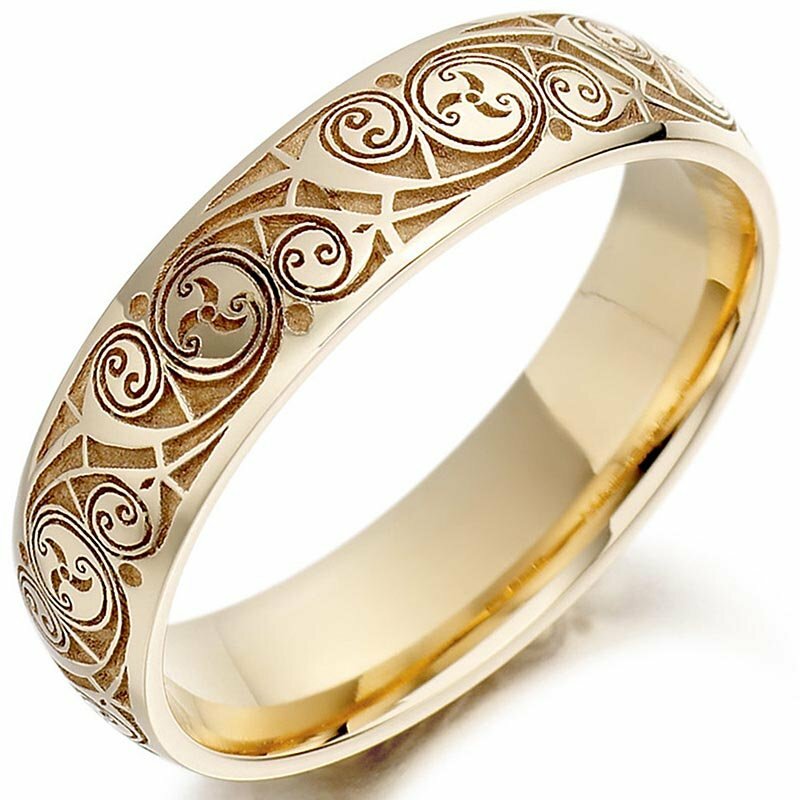 Inspired by the ancient Celtic designs and artwork in the famous Book of Kells. 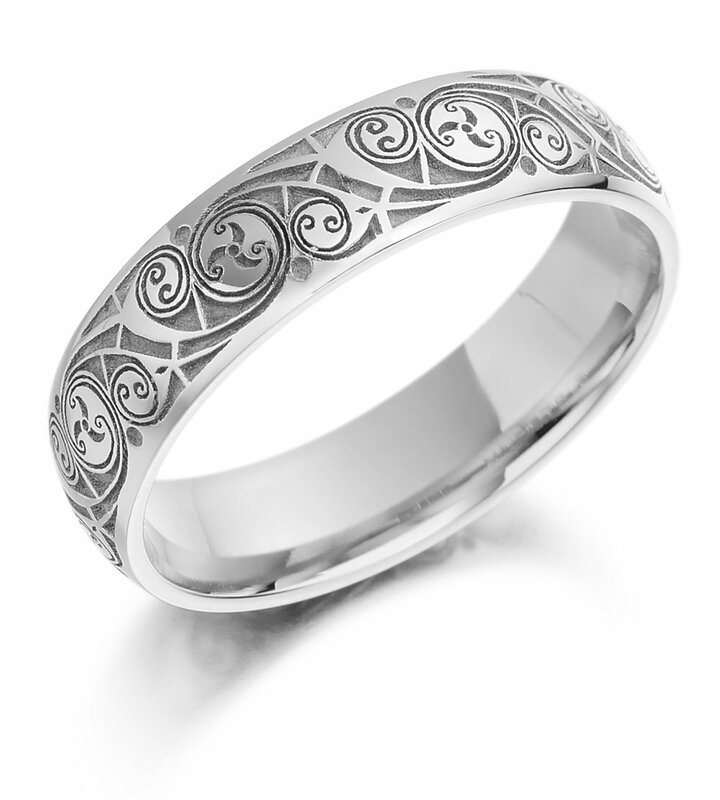 These wedding rings are available in 9k Yellow or White Gold. Measures approx. 0.2 inch wide.